The cartel war raging Tijuana continues with 1,789 homicides registered as of September 19, now breaking the 2017 record of 1,781. The record-breaking year persists despite Mexico City’s deployment of military assets to the region in February to quell cartel violence. 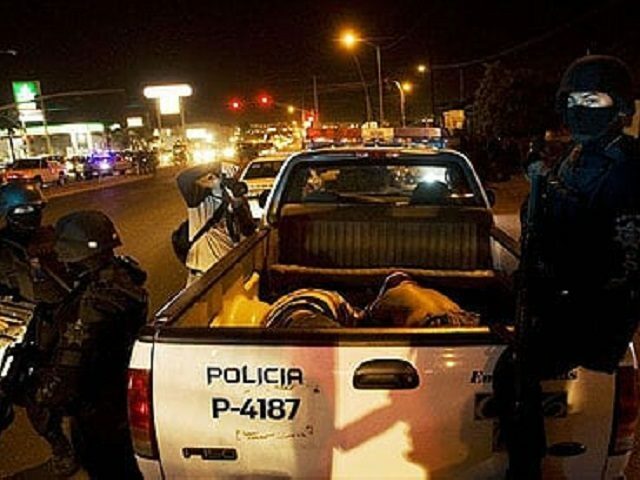 The bloodshed is generally related to turf wars involving Cártel Tijuana Nueva Generación (CTNG), aligned with El Cártel de Jalisco Nueva Generación, against the Sinaloa Cartel. In some areas, rival factions within the Sinaloa Cartel are fighting for control of the lucrative street-level markets and smuggling routes into the United States. Those involved in the killings are primarily low-level dealers, lookouts, customers, and enforcers. Many of the street-level dealers are targets of rip-crews looking for cash and drugs. One of the factors blamed in Tijuana is that only 8% of homicide suspects are detained, according to the president of Fundación EduPaz, Francisco García Burgos. He said that the number of unsolved homicides, combined with the responsible parties still on the streets, created an environment where citizens are fearful of reporting crimes due to reprisals. Breitbart Texas previously reported on this problem when 132 of the first homicides registered only produced 11 suspects detained. The 11 were from only five registered homicides, according to local media. Cartels fighting in the city do so with almost total impunity as demonstrated early Thursday morning when alleged gunmen opened fire from two vehicles against buildings housing the state attorney general’s homicide and forensics units. No injuries were reported, but the gunfire caused damage to windows, according to local media. Ministerial police were inside the facilities at the time of the drive-by shooting. A recent photo captured by photojournalist Gustavo Suárez of Frontera has been used among Mexican social media accounts to demonstrate the indifference some citizens apparently feel due to the constant cartel bloodshed. The photograph was captured at a taco stand in colonia Murúa Martínez where a smiling family can be see dining in the foreground amid an active homicide scene.